RAM® Mounts have long been trusted to get the job done in material handling settings. With our 2018 material handling catalog, you can find solutions for securing nearly any device to your forklift, pallet jack and other warehouse tools. From barcode scanners to tablets and inventory management systems, securing devices and increasing efficiency has never been easier. And with IntelliSkin® and GDS® Technology™, devices like phones and tablets can even be charged and sync data while docked. 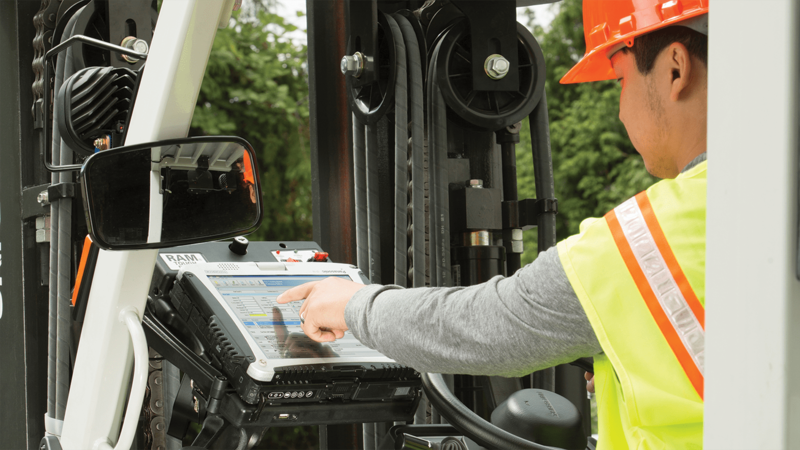 In addition to the catalog, learn more about five of our most popular material handling solutions below. Secure your mount to any round post and ensure that your inventory management device, scanner or tablet is at the ready. Available in C and D ball sizes for 1.25″ – 1.875″ rails and 2″ – 2.5″ rails. 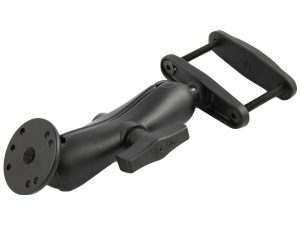 This clamp mount fits any railing up to 3″ and features a 2.5″ round base with the universal AMPS hole pattern. 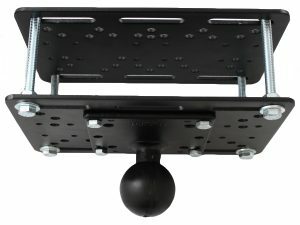 With the rubber ball and socket system, achieve the perfect viewing angle with ease. Ideal for scanner gun cradles and tablets. 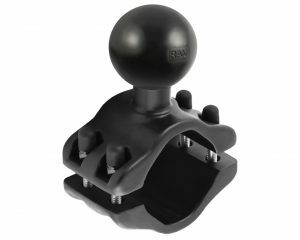 Square post clamp (part 247U) available in a wide range of ball sizes and post widths. 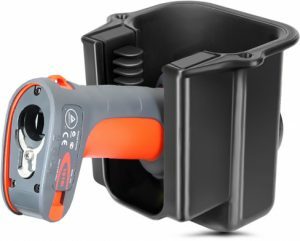 The open bottom design of these holders enables scanning while in the holder, while replaceable elastomeric fins grip the scanner’s handle for a secure hold. Featuring various hole patterns, utilize two identical stamped steel plates that fasten to most lift cages and overhead guards for vehicle mounted computers and tablets. Need to get in touch with our product experts? Reach out to sales@rammount.com.